Earlier today, we reported that sources of ours had indicated that Verizon would begin selling a variant of the Nexus 7 (2013) as early as next week, likely by February 13. 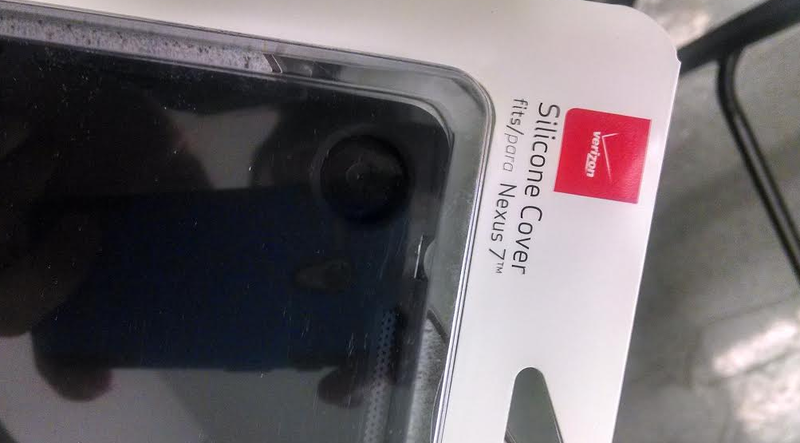 While you could pull out our saying of “nothing is confirmed” until we hear word from the carrier, the arrival of Nexus 7 cases in stores with Verizon branding on the packages is certainly something to be added to the story. While Verizon carries all sorts of accessories in-store, it wouldn’t make much sense for them to carry a Nexus 7 case if they weren’t also planning to sell the device at some point. We still don’t know for sure if they are going to sell it in-store, online, or both, but with cases showing up in retail shops, it could be both. Keep in mind that industry leaker @evleaks mentioned back in mid-January that the device would arrive through Verizon before long. We also showed off the device running on Verizon’s LTE network back when it first was released by Google last summer, but as you know, an alleged certification process held it back from being activated as a new tablet on customers’ lines. No matter what, it appears as if the device is coming soon.